Plato wanted to keep imitation out of the Republic, even as he copied the words of Socrates to write his text. The WikiLeaks affair reminds us how improbable that dream of a world without imitation remains today. With WikiLeaks’ recent publication of 90,000 secret US military documents describing the day to day operation of the war in Afghanistan over the last six years, we can see familiar claims being made about the danger that the distribution of copies poses to the polis. But it’s equally clear that the way that we make use and share copies forms an essential part of the functioning of a genuinely democratic republic. 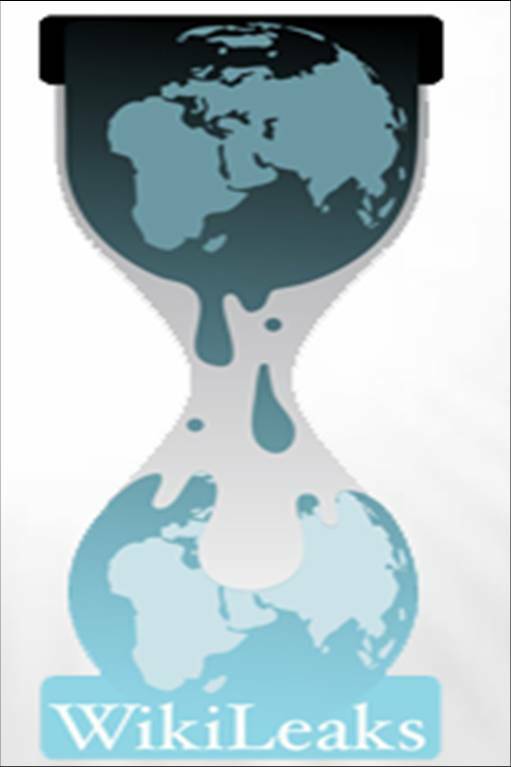 Intriguingly, WikiLeaks’ logo is itself an image of the world being copied, duplicated: the real world perhaps leaking out of the false, spectacular “original”. The stories about illegal copying that we’re most familiar with today concern intellectual property law: pirated copies of consumer products that break copyright, trademark or patent law in one way or another. Setting aside those cases where a company’s entire production and distribution system has been copied (see Adrian John’s recent book Piracy on NEC’s corporate doppelgänger), the issue is also usually connected to mass distribution of copies: filesharing of music and video being the most obvious example. With WikiLeaks, the issue is state property and state secrets — just as it was with the event that people are comparing WikiLeaks with: the release of the Pentagon Papers in 1971 (itself a fascinating episode in the history of copying). Sensitive or classified information is precisely state-owned information whose reproduction and distribution is controlled by law. It would be interesting to compare and contrast intellectual property law and laws governing classified information. The obligations of the state to its citizens are different to those of private property owners to the public, yet in both cases, particular historical notions of property, rights, ownership and copy are key to how things play out. As Mark Rose tells it in his essential history of the birth of copyright law, Authors and Owners, there’s an intriguing link between laws governing copyright and “sensitive information”. The censorship of the press, established and maintained through an agreement between the Crown and the printers guild known as the Stationers’ Company, broke down during the English Revolution of 1641-1660. When the monarchy was restored, the censorship of the press resumed, and journalist/authors such as Daniel Defoe were imprisoned for seditious writings. The first calls for a copyright law which would give authors the right to claim their work as their property were made at the end of the seventeenth century. One of the arguments made by Defoe, when he was released from Newgate prison in 1703, was that if a writer could be punished for saying something seditious, with the implication that the seditious writing belonged to him/her, then surely he or she should be rewarded for more acceptable writings by being recognized as the legal owner of his/her work. Questions of responsibility were resolved within the emerging capitalist marketplace by being framed in terms of ownership. The Statute of Anne became law in England in the spring of 1710. What is new in the WikiLeaks situation is the sheer scale of the copying of state secrets, the ease with which the public can access these documents, and the possibility of a highly public debate on the WikiLeaks website that can build on and examine the documentation. The notion of producing a copy of a war is not itself new. As Paul Virilio has shown us, many of the key developments in twentieth century military technology aimed at allowing those conducting war to obtain as detailed a realtime picture as possible of a battlefield that could have many simultaneous geographical fronts. This picture is already a copy, a representation of a war, and forms an archive of data that can be drawn upon in various ways. While for obvious reasons the focus with the Afghan War Diary has been on the content of the revealed documents, it would be interesting to know how exactly these copies were copied: we know that they were often transcripts of radioed reports from the battlefield presumably entered into a database, but how exactly did such data make its way to Wikipedia’s website? How do particular kinds of mediation by “copies” foreclose or enable different political possibilities? Of course, it is precisely this kind of information that WikiLeaks will not be releasing, in order to maintain the anonymity of its sources. WikiLeaks is a good example of what I mean when I say that the future of copying lies in depropriation. The word is not too elegant, it’s something I discuss in the last chapter of In Praise of Copying which is about appropriation. It’s clear that most of the crises and struggles around copying are about appropriation: I make a copy of x, x is not mine, by making a copy of it, I appropriate it. But everything is in some sense appropriated, including x before I make a copy of it. So the problem is: who has the right to appropriate something, or: who has the right to make a copy? This is basically the question Marx asked. The problem with Marx’s answer — see the history of communism, as well as Marx’s own explicit remarks on the subject – is that it still assumes that appropriation is unavoidable. When appropriation may precisely be the problem. The notion of depropriation – which I take from feminist theorists such as Hélène Cixous and Avital Ronell – attempts to name the possibility of letting go of appropriation, of living without appropriating. That’s very challenging since we appropriate with every mouthful of food we eat, every breath of air we take. Buddhist texts recognized this problem and attempt to address it in a variety of ways, from extreme asceticism to continuous ethically focused exchange with the environment. Depropriation seems to be a practical impossibility. Yet we signs of it happening around us today, both in events and the circulation of ideas. It’s something we can work towards: a world in which we minimize appropriation and maximize what Hardt and Negri call “the common”. But we have to learn as individuals and as societies how to do that, which means addressing our own desire to appropriate. I imagine that a lot people are suspicious of a “Buddhist” logic of depropriation since they assume that it means an attempted “quietist” withdrawal from mainstream society that lets capitalist appropriation continue unchecked. But the history of Buddhist societies, for better and for worse, is not really one of quietism. Anyway, it’s not a question of idealizing those societies, whose faults are obvious to anyone who opens a history book. The issue is whether there is something within Buddhism that remains unrealized, or only partly, temporarily, occasionally realized, that can prospectively help us make a different world., Active depropriation … an ethics of engagement that means allowing oneself to be appropriated into a situation so that one can participate in transforming it without having to appropriate it again. This is something we can learn a lot about from Buddhism. William S. Burroughs called his incendiary 1959 novel Naked Lunch to mark “a frozen moment when everyone sees what is on the end of every fork”. But what would that really mean? The word we usually use for “appropriation” is “steal”, and the conventional narrative about WikiLeaks is that these secret documents have been stolen, appropriated. What’s interesting though is to consider whose property they have become. Unlike spy agencies who steal national secrets which then remain secrets, these documents have become visible without exactly becoming property. They don’t belong to a nation-state; since they are published anonymously, they don’t belong to a particular person; they don’t belong to WikiLeaks’ founder, Julian Assange, though he is obviously in danger of becoming the face or designated spokesperson for the documents. They also don’t belong to the mainstream press, who, despite WikiLeaks’ collaboration with the New York Times, Der Spiegel and Guardian, probably stand to lose the most in the current situation. Thanks to Eric Cazdyn for pointing out the copy related nature of this story.